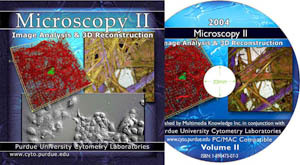 The Paper Project is part of the series of CD's on microscopy. Microscopy II contains a large portion of the images and content from the web site. Two of the images grace the cover and the CD.